I wish a happy working day ahead for all! I wanted to post my Busan and Jeju trip entry but my mind keep telling me I am also a beauty blogger so need to balance up my entry. Two months back I attended Melvita beauty workshop and totally in love with this organic brand. I gotten myself this Rose Hip Oil to cure my over dried skin. I used to hate the smells of Rose Hip Oil, but its all gone since this oil totally benefited my skin. Melvita Rose Hips oil is made from seed of Chilean Wild Rose and this oil is rich in essential fatty acids and helps nourishes and regenerates even the most delicate and lifeless skin. I used almost quarter bottle of this oil for two months. The result really helps towards my over dried skin. Oh well....IMA ageing factor really make skin drying up! Gotta do something before it get more worst and to prevent botox! WTH! I wanna age in style so????? Slowing down the process is very crucial for me. How I use Rose Hip Oil? 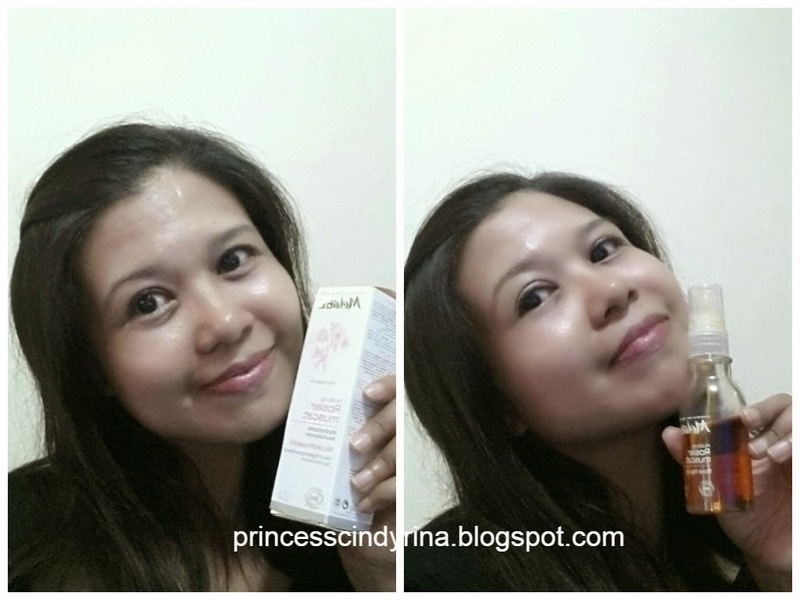 - Use it on after clean face, toning and moisturise skin at night before sleep. - I squeeze 20 sen size of oil on palm then squeeze both hand like you are warming up and pat on face. Tomorrow will be the entry for Busan : BIFF Square Shopping Street! p.s : Special Request from Mummy Dearie for me to put website and price for Melvita Rose Hip Oil and where to purchase. You can purchase from Melvita website online shopping for 50ml cost you RM148/- bottle. Never heard of this product. Kalau boleh slowing down aging process, I pun nak cuba. Kenapa you tak letak harga dan nak beli kat mana? Maklumlah I ni pemalas nak google, nak senang jek!